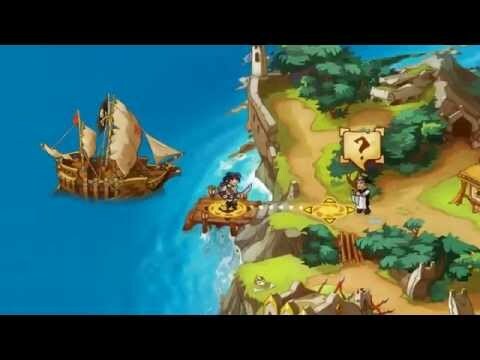 Prepare for adventure and high sea battles in these pirate games. How Many of These Pirate Games Have You Played? Let’s admit it, day to day life on dry land can be a drag, and even when you’re knee deep in adventure games you might still long for the open sea. 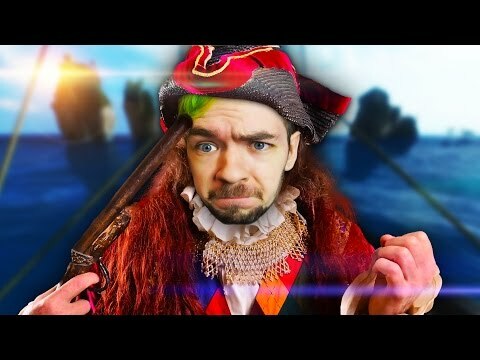 And really, piracy is hard and dangerous, not to mention illegal, so why not give these games a shot in order to experience that fleeting vicarious thrill of conquest and adventure on the high seas? If you enjoy these games, or have suggestions for other ways to experience the endless thrill of nautical combat and swashbuckling, we’d love to hear from you. Maelstrom is not a game for the ordinary pirate. This game transports players into dangerous seas with bloodthirsty buccaneers, pirate warships and deadly sea monsters. 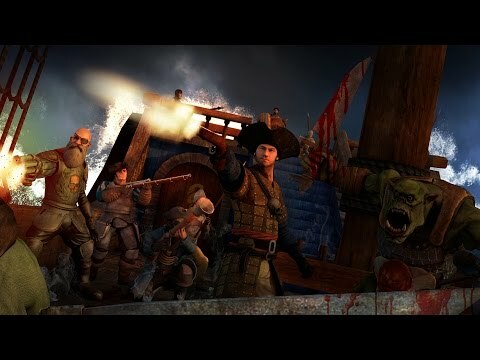 In this fantasy world, players choose from 3 factions: Phoenix Empire Humans, Orc Pirate Lords, or Steamborn Dwarves and then engage other pirates in thunderous naval combat. Each faction has 3 unique battleships for waging war on the seas. Gold is looted by destroying enemy ships and is used to upgrade your firepower, sailing speed, crew and armor. Players can also recruit various "Captains" who will give buffs to the ship, like increasing its crew size or giving it more firepower. The game is multiplayer with a 15 person battle royale style gameplay and pits players in a fight to the death in the Abyssal Ocean. Each Maelstrom battle will fit up to 15 pirate ships. That means you're up against 14 other warships and a giant sea monster waiting to destroy you. Use cannons, battle rams and maneuver your ship to crush your enemies. Either run, take that monster down, or get eaten alive! 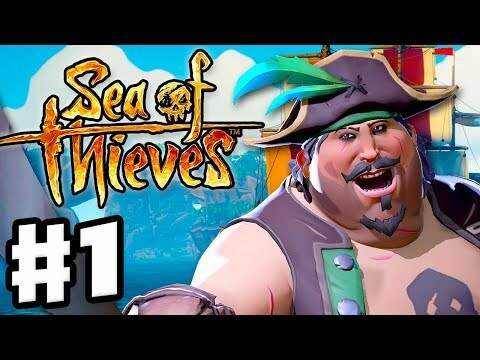 Sea of Thieves bring players into a world where pirates own the seas, and only the most cunning survive. 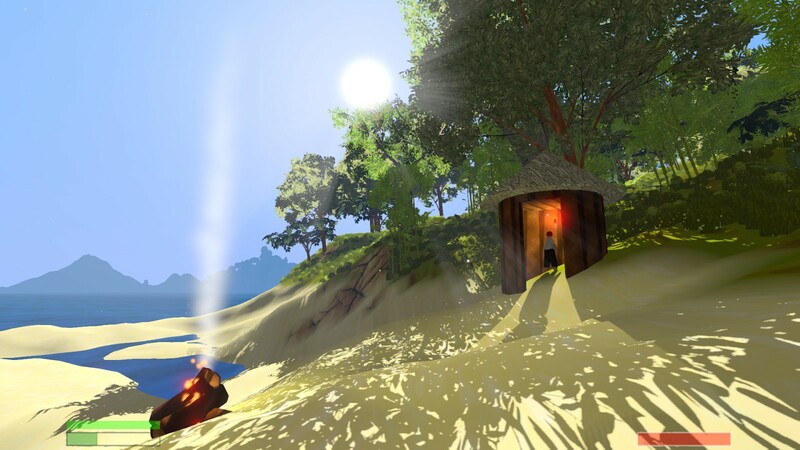 The game puts you in a first-person mode, where you can man your own ship with 3 other crew members (real players), swim underwater looking for sunken treasure, or set foot on islands in search for hidden treasure. But beware, for the seas are stormy and enemy pirates prey on you. 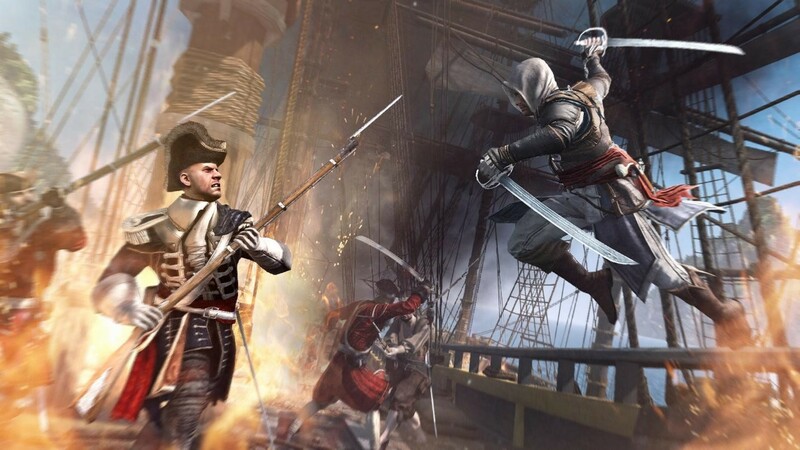 The game has both a realistic and fantasy feel to it as it makes players steer their ship, reload cannons, aim and shoot, or even launch themself from a cannon onto an enemy ship to engage enemy crew in sword fighting and flintlock pistol combat. 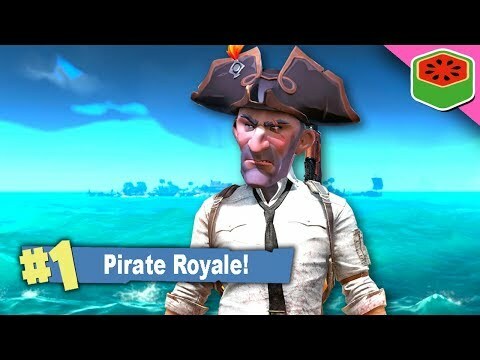 The game launched on 20 March 2018 and saw 1 million players (or pirates), rushing in to get their taste of pirate adventure in the first 48 hours the game was released. Sea of Thieves would continue to grow to 2 million active players by 29 March 2018 and become the most popular pirate game of 2018. Work together with up to 3 other players to sail your ship, find treasure, do battle, and fulfill your destiny as "Pirate Legend". Arrr...! 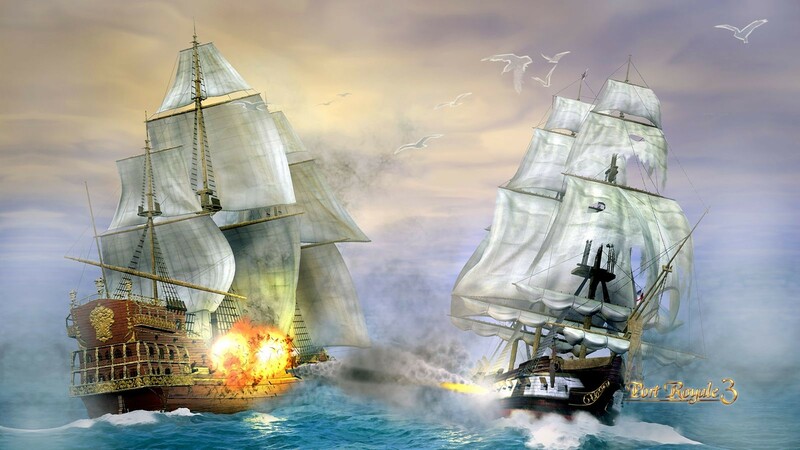 Launch yourself onto enemy ships and engage them in close combat with your cutlass, musket or trusty flintlock pistol. Set foot on islands in search for buried treasure and dig them up. But beware, monsters may lurk around and they wont be happy about you stealing their treasure! 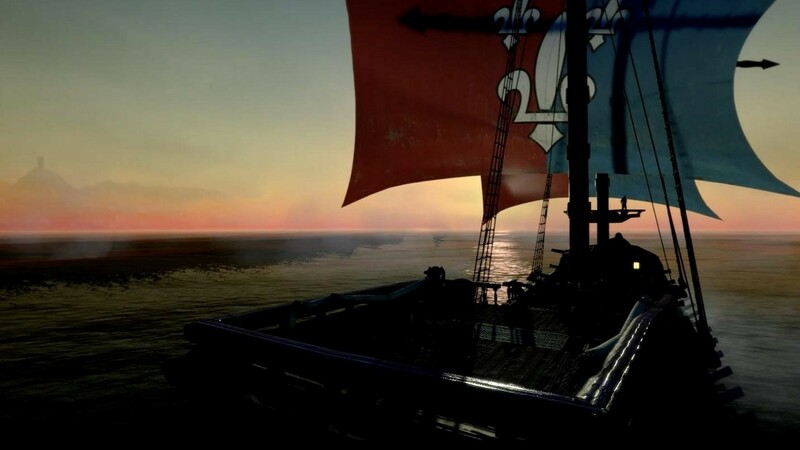 Blackwake’s unique pvp set up, will have you jumping into the fray again and again, if only for the chance to kill other pirates. 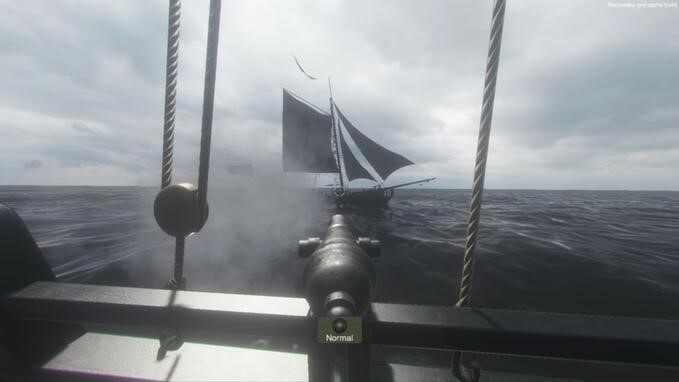 The upcoming Kickstarter funded multiplayer FPS battle game Blackwake, brings piracy to a new level. Being a Captain to NPC’s on your deadly ship just isn’t a very immersive experience. 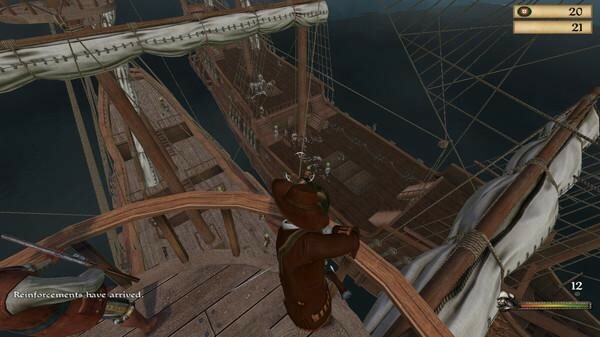 In Blackwake you are grouped with other team members (real players) and placed on your ship moments before battle. You will either be the Captain or a part of the crew. The Captain calls out objectives, steers the ship, and even gets to name and flag your vessel before the match begins. As the crew, you can vote to overthrow your noob Captain, help steer, board other ships, put out fires, and complete other bonus objectives to help your team win. The enemy ship won’t stand still, so while you reload your cannons try to gauge where the ship is moving next. Every shot gains points for your team, leading to the glorious victory! There will be multiple types of ships, some with a capacity of 40 people! Your teammates will have to choose between different roles and weapons in order to prepare for the upcoming onslaught. As you fight to protect your ship, you will also be ranking yourself against all pirates. With every mission you will gain a rank, and possible pirate booty. Show off rewards (like hats and clothes) to intimidate the enemy players and express your treacherous history as a daring pirate. 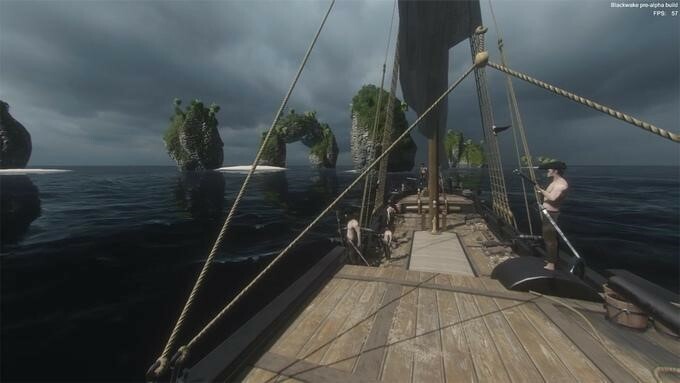 Blackwake will throw you into different environments, and you will need to adapt. It could be a chaotic hurricane, or a silent spot by a sandbar. Either way you need to be prepared. Blackwake has a lot of potential in the pvp scene, as well as in our pirate themed genre. Even though the game originated on Kickstarter, this will not stay a small game. Join in and be the first to destroy ships, kill pirates, and claim your spot as Captain. 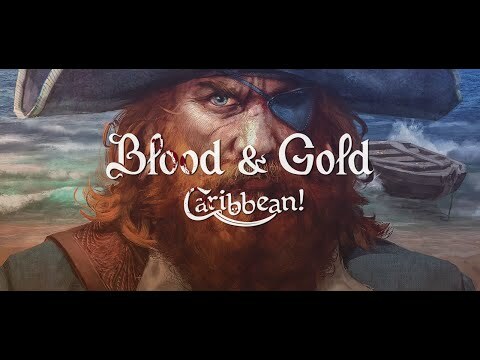 Blood and Gold Caribbean offers an interesting trade empire and explosive battles for your fleet to enjoy. 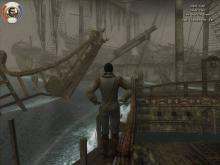 Blood and Gold Caribbean is an adventure action rpg in time of Caribbean piracy. 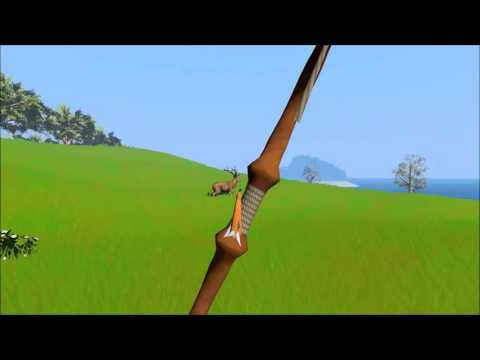 If the game looks familiar at all, it’s because it’s based off of the popular action rpg game Mount & Blade. 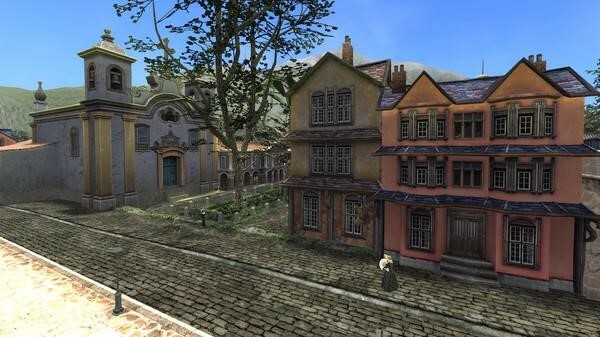 Blood and Gold Caribbean offer a lot of freedom to their players by using an open world system. You will explore the vast Caribbean while you trade goods, capture ships, complete missions, and sell slaves. Be the Captain of trading vessels, or ships meant to withstand the havoc and destruction of naval battle. The other ship and crew are there for the taking. The economy in Blood and Gold Caribbean is the main source of “end game content”. As you explore the Caribbean and complete tasks, you will gain different types of reputation until you join a faction. This faction gives you access to things like being a part of a trading empire, governing a city, and fighting your faction's enemies. If you want some time away from up close and personal land combat, steer your ship into a heated naval battle. Just remember, everything is up for grabs when you’re a pirate. Build and govern property in Blood and Gold Caribbean. Everything you build will drive the diverse economic system and trading empire. Shape history in this pirate based MMORPG, because the world is there for your taking. Uncharted Waters Online came out with its newest expansion “Episode Atlantis”, and with it more content. 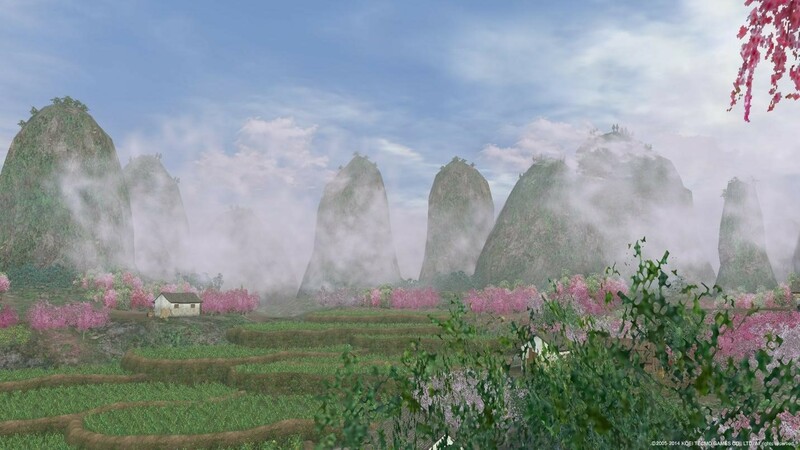 Explore the diverse landscapes while you search for hidden artifacts, and meet interesting characters. If exploring isn’t your forte, there are 75 professions to try and master as well as plenty of player vs player battling. It’s not just your typical pvp battles, but massive naval battles with the reward of conquering new cities if victory is achieved. The ships you buy or build allow you to customize them how you please, but they are more than that. Every ship counts as you enter the massive 100 v100 naval battles. You could lose it all, or gain power of one of the most profitable cities in the world. 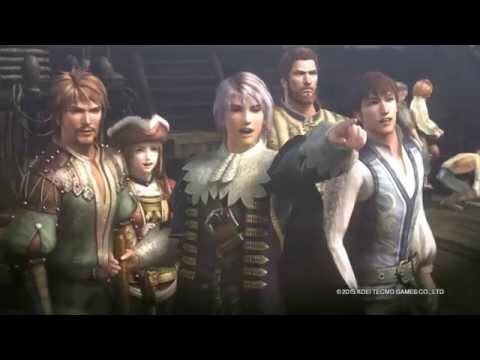 The historical significance in this MMORPG does more than just add an interesting feature to the game. The base of the game is based on real world history (countries, ship names, general exploration). However, the players ultimately start shaping history themselves as the game begins. You can build the future of the 15th century by choosing to be a merchant, soldier, or adventurer as you conquer your preferred aspect of the game. Maybe you want to retire from the pirate life for a little while, and you can with the ability to purchase a home or build a profitable farm. This is your chance to change history…for better or worse. Search for hidden artifacts through the peaceful, lush landscapes. You never know what you may find in all the countries waiting for your eager eyes. Sharks and enemies lunge for your hard earned ship, wishing to tear it and you apart piece by piece. Man O’ War: Corsair is a tabletop based game in the world of Warhammer Fantasy. You are a pirate Captain traveling between 50 different ports on a vast explorable sea. While you guide your daring fleet from port to port you will encounter great struggles. 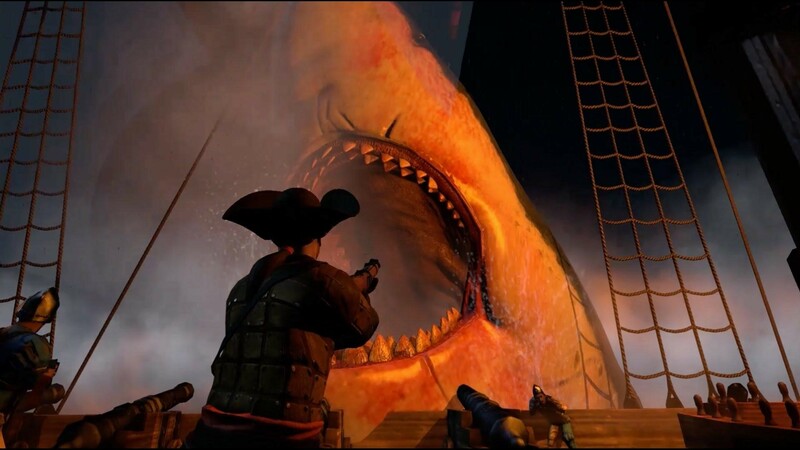 Enemy ships will attempt to drive you into Davy Jones Locker, and legendary (and monstrous) sea creatures will try to swallow your crew whole. Beware of the behemoth shark! You may be able to counter attack fellow pirate ships, but your crew will have to work together to defeat the mighty beasts that lurk beneath the water’s surface. While you are a pirate Captain unlocking the great mysteries of the deep ocean, there’s also a bit of fantasy involved. You can hire different races (like elves, and dwarves) to crew your ship, or find assistance in wizards and snipers for your battles. A heroic journey waits for you across the sea, in Man O’ War: Corsair. All you need is a ship to get you started. A ship and a crew will start your long voyage into fame, as the most successful and intimidating pirate that ever did live. 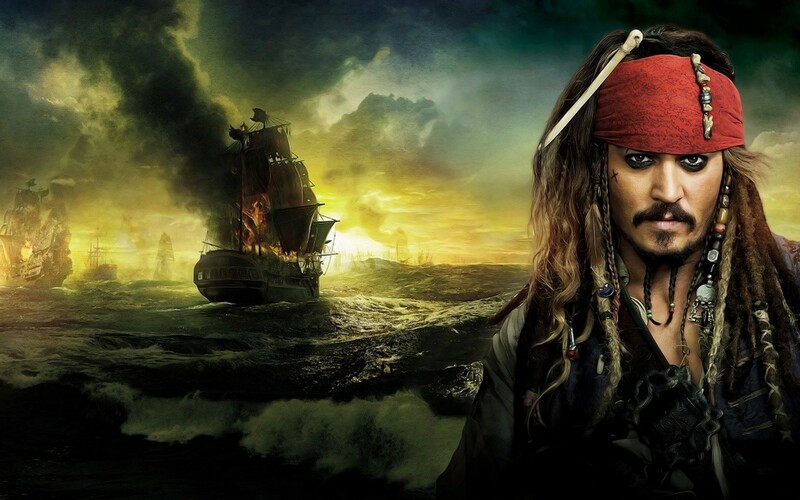 Treasure is the most important thing to a pirate, and so now it is the most important thing to you too. 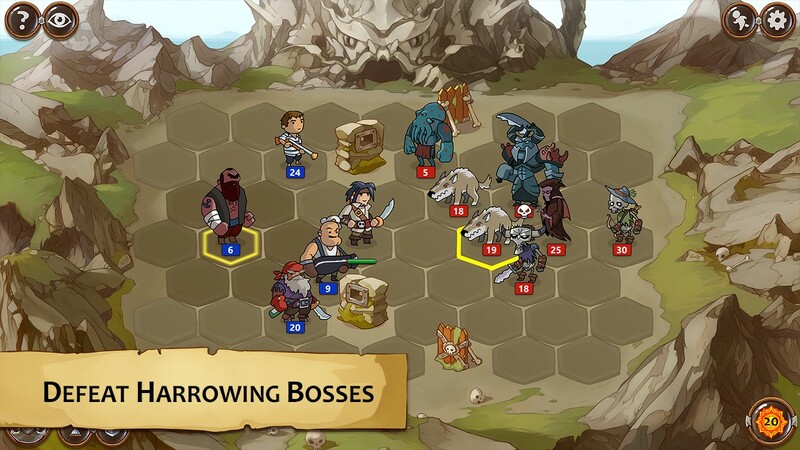 Braveland Pirate is a treasure based RPG where you play a Captain of a helpful crew. You’ll have to track down notorious enemies and defeat them before they take you out. While you travel around on your own ship you will also be searching for top notch treasure. Every treasure chest you come across has a chance for rare artifacts and gold. In order to keep up with all the interesting adventures, you will be able to improve yourself in a Captain Talent Tree. This talent tree has the power to change your entire gameplay and lead you to rewarding success. Stand beside your crew as you face a group of enemies drooling at the thought of your flesh in their claws. Plan your battles carefully! Be careful as you voyage across the sea, because creatures hide in wait for your arrival. With enemies on land and sea wanting to kill you, you’ll have to play it smart. 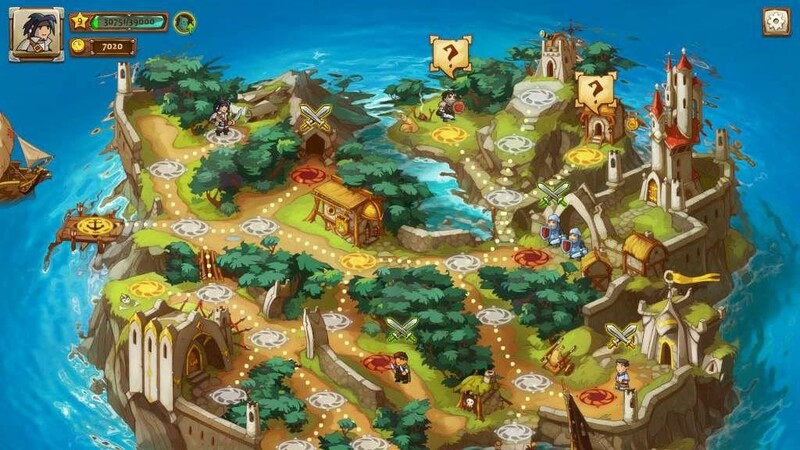 Above all, Braveland Pirate is a game to casually play when seeking an adventure. The islands you sail to will hold unique landscapes and hidden treasures. You’ll have to search every corner of the island, or risk losing some of the rarest treasures available. Explore seas and islands for challenging fights, rare rewards, and surprising encounters. The game Salt may not have amazing graphics, but it does have a lot of challenges. You may not be a pirate in this RPG, but you can happen across pirate villages, fight them, and find their treasure. In order to succeed on your adventures you need to have weapons, armor, boats and other essential items. Every island you visit will have abundant resources for you to gather, hunt, or fish for. All of your essential items must be crafted which makes collecting these resources very important. Salt has all the key features that RPG’s need, from merchants with goodies, intense fighting, and an open world full of lands to explore. As you explore the game Salt, each island will bring new adventures and sights for your character. 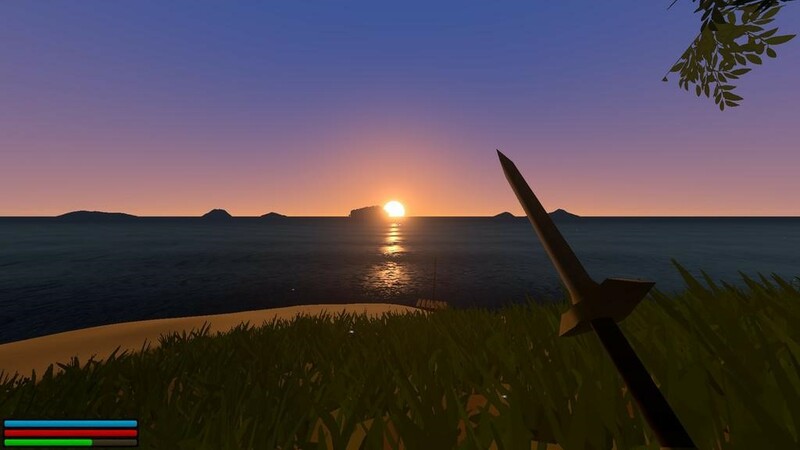 Take a moment to watch the sunrise, sword in hand, before jumping back on your ship and welcoming the next adventure. Take a break from your travels to empty your full bags and make a quick coin! Merchants hide throughout the world with unique items for sale! I was looking for some good pirate games and this article helped me out immensely. Great Job with this well thought out artice!